During Attila the Hun's brutal Italian invasion in 452, the population of the countryside fled before his army. Many sought refuge on the small islands in the lagoons lining the western coast of the Adriatic, augmenting the fisherman population that already lived there. 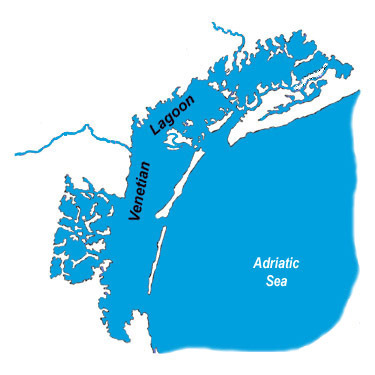 Although many of the refugees returned to their mainland homes after Attila's withdrawal, the origin of the future island colossus of Venice is often traced to the migration caused by Attila's invasion.